There's been a lot of comment about a number of trees being taken down in Warley Woods…well, today was Big Tree Plant day in Warley Woods. 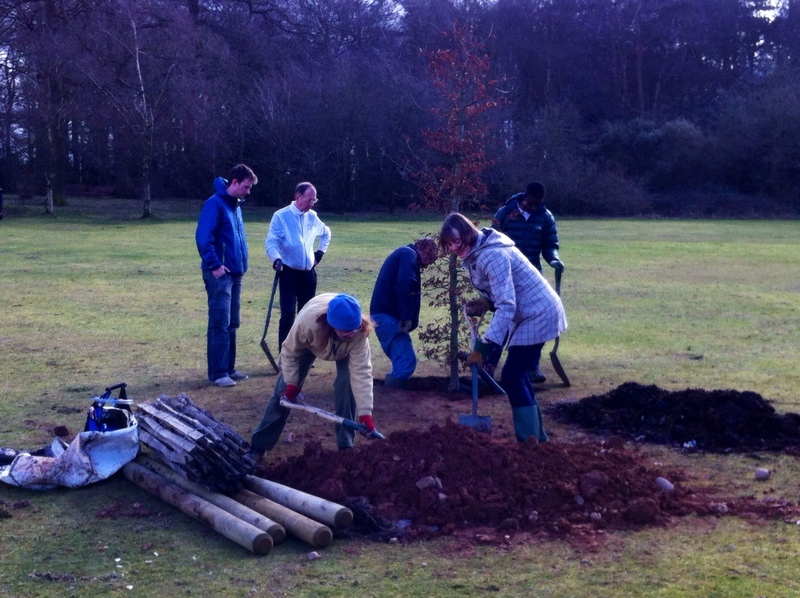 Volunteers were planting a new oak and a new beech tree in the meadow area, as part of the Trust plan to add special trees to replace those that have gone from the Repton landscape. South Staffordshire Plc yet again loaned a man with a digger to help prepare the holes. 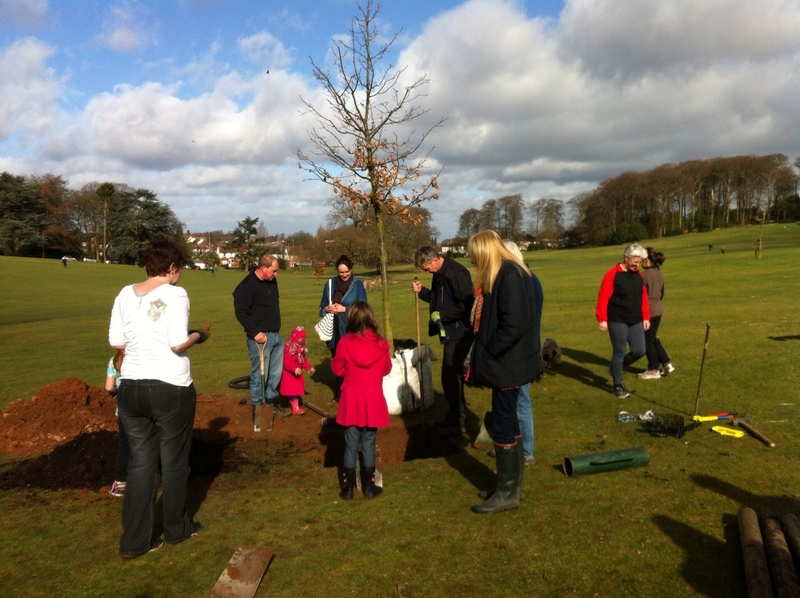 Both trees have been adopted by families in memory of people who loved the park. The project has been funded by a “Big Tree Plant” grant. Will there be an iron “surround” ?? We have put wooden palings round the trees, as we have done with some of the others we have planted over the last 2-3 years. These prevent dogs from scratching the bark (which did happen on occasions) and also protects them from vandalism. They are actually quite mature trees with thick trunks and a cunning underground staking system and we hope are not as vulnerable as smaller trees from our own tree nursery. The groundstaff and volunteers will be keeping a close eye on them over the next few months, and despite the recent rain they will still need watering for the next couple of years.